Nevertheless, he continued trying to elucidate the structure of the Milky Way. In a paper published in 1913 and reprinted for a less specialized audience in 1914, he synthesized much of what he had learned about the universe from the distribution of stars according to their positions, velocities in space, and spectral type, and came up with some remarkably accurate conclusions. Kapteyn noted that the two star streams he had discovered earlier consisted of unequal distributions of stars. The first stream was rich in what he called helium stars, that is, stars with strong helium lines, of spectral type O or B. Astronomers generally believed these stars to be young, or recently formed from some primordial matter. He noted that these stars tended to have low velocities. The second stream was rich in older stars, and contained hardly any young stars. These older stars, for reasons he could not yet understand, had acquired higher velocities. 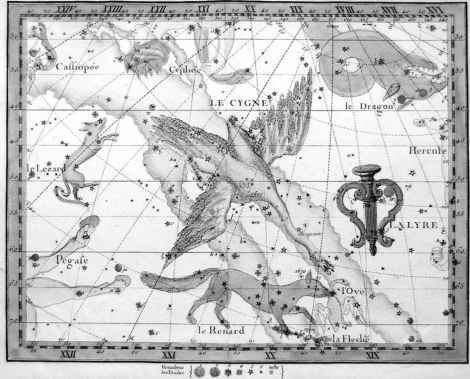 When he compared the velocities and directions of the nebulae with those of the young and old stars, a pattern emerged. Although very few measurements had been made of the velocities of nebulae, it seemed clear to Kapteyn that the velocities of the so-called planetary nebulae, like the Cat's Eye nebula Huggins had studied, put them in a separate category from the ''irregular'' nebulae like the great nebula in Orion. As Kapteyn put it, ''There are nebulae and nebulae. ''24 The planetary nebulae had rather high velocities, and should, he thought, be associated with the endpoint of stellar evolution rather than the beginning. The Orion nebula's motion through space, on the other hand, resembled that of the young stars. This, together with the fact that young stars were often found in association with irregular nebulae, suggested that irregular nebulae might be the birthplace of stars. Kapteyn envisaged a stellar evolution scenario in which stars were born from irregular nebulae as helium stars, and evolved from O and B stars into the K and M stars, then into planetary nebulae. Some parts of this scenario are correct. We now understand that the Orion nebula lies at the edge of the Orion spiral arm of our galaxy, and that it is one of the nearest and largest stellar nurseries. Planetary nebulae are indeed associated with the opposite endpoint of stellar evolution: the nebulous matter there consists of remnants of a star's atmosphere, thrown off after a star has gone through a nova phase. Kapteyn's only significant mistake was to suppose that the stellar classes form a series in time. It is true that stars are born in irregular nebulae, and that many end up as planetary nebulae, but they do not evolve from one spectral class to another. A young O star evolves from the main sequence or dwarf state into a red giant star, and a class K dwarf star similarly evolves into a red giant star, albeit of a different luminosity. By correlating stars' velocities and ages, Kapteyn had learned something about the history of our galaxy. His magnum opus on the structure of the entire Galaxy was yet to come.